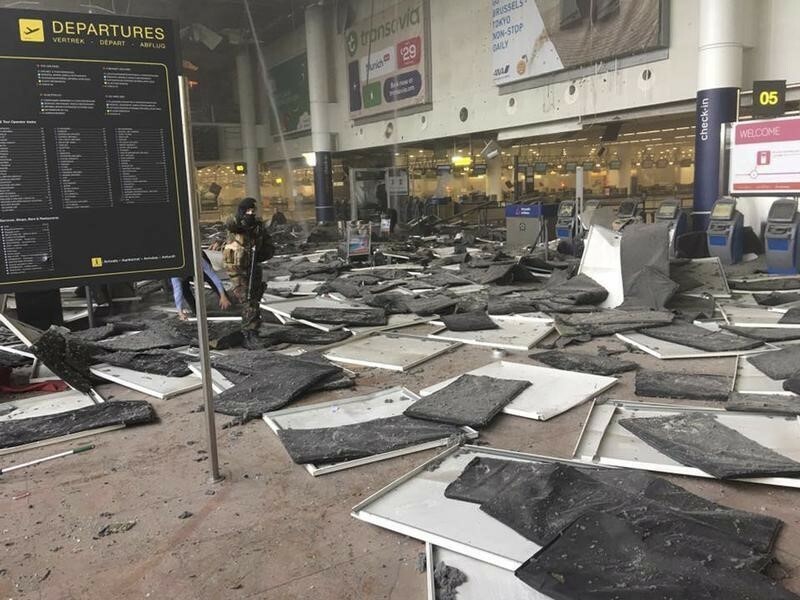 BRUSSELS (Reuters) – Islamic State claimed responsibility for suicide bomb attacks on Brussels airport and a rush-hour metro train in the Belgian capital on Tuesday which killed at least 30 people, with police hunting a suspect who fled the air terminal. 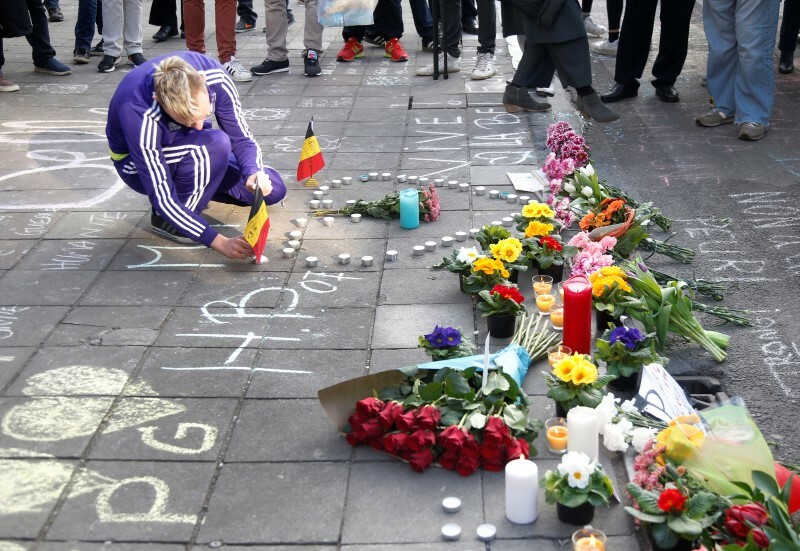 The coordinated assault triggered security alerts across Europe and drew global expressions of support, four days after Brussels police had captured the prime surviving suspect in Islamic State’s attacks on Paris last November in which 130 people were killed. 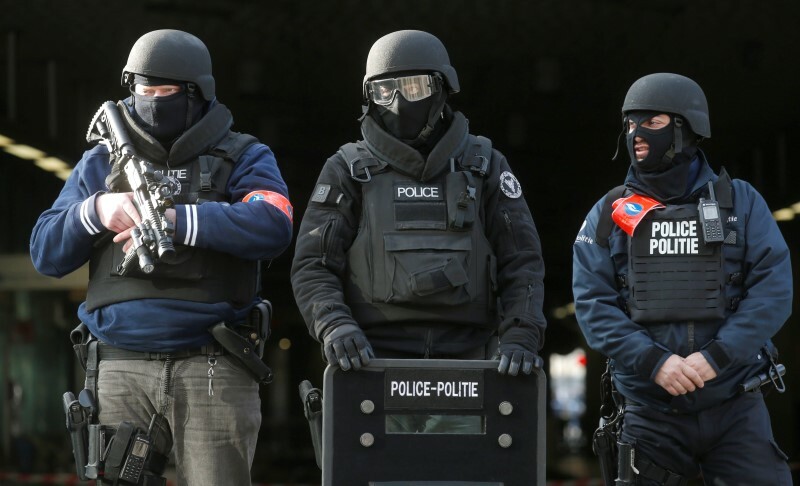 Belgian authorities were still checking whether the attacks were linked to the arrest of Salah Abdeslam, said Federal Prosecutor Frederic Van Leeuw, although Belgian security experts said the level of organisation involved suggested they had been in preparation for more than just a few days. Last week, explosives and an Islamic flag were found during a raid on an apartment in the south of Brussels. Police also found a fresh fingerprint of Abdeslam’s there, putting them on to his trail. 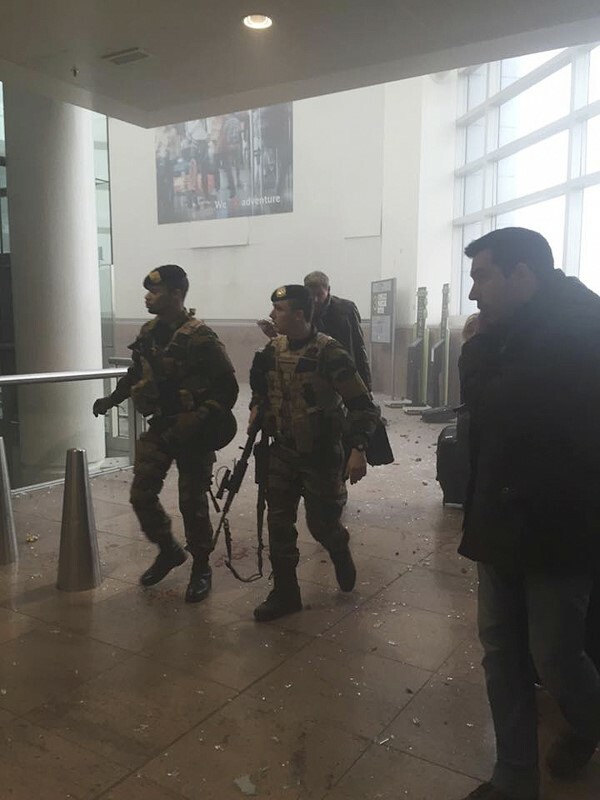 It was not clear if Abdeslam had been involved at that stage in planning the airport attack. 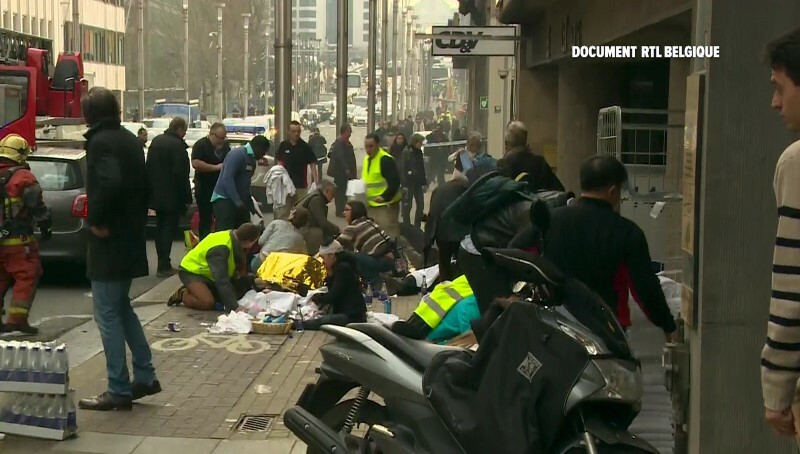 In a statement, Islamic State said “caliphate soldiers, strapped with suicide vests and carrying explosive devices and machineguns” had targeted the airport and metro station, adding that they had set off their vests amidst the crowds. 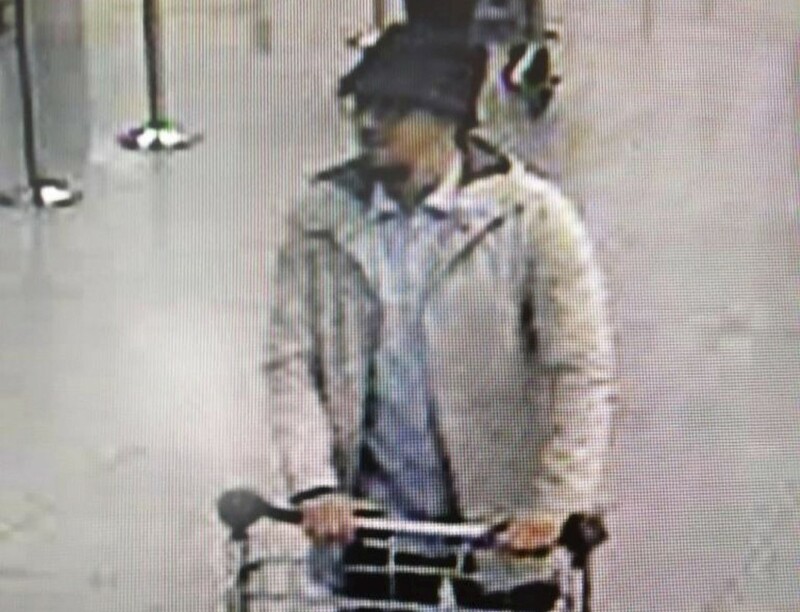 “A photograph of three male suspects was taken at Zaventem. Two of them seem to have committed suicide attacks. The third, wearing a light-coloured jacket and a hat, is actively being sought,” prosecutor Leeuw told a news conference. 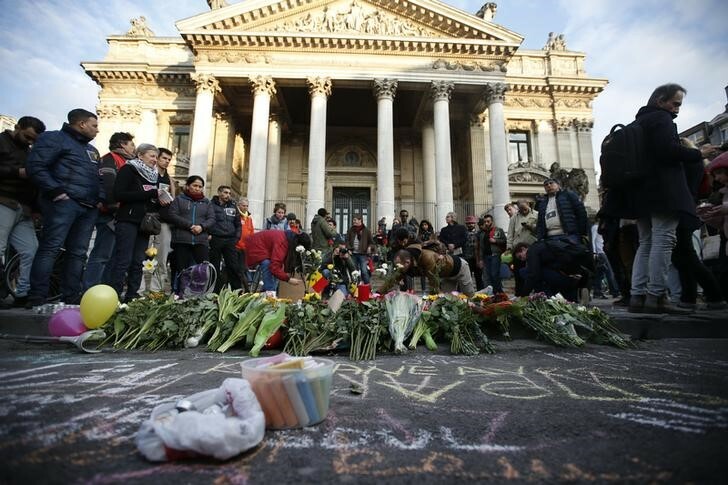 Belgian police appealed to travellers who had been at the airport and metro station to send in any photographs taken before the attacks in their efforts to identify the bombers. After questioning Abdeslam, police issued a wanted notice on Monday, identifying 25-year-old Najim Laachraoui as linked to the Paris attacks. The poor quality of Tuesday’s CCTV images and of the Laachraoui wanted poster left open whether he might be the person caught on the airport cameras. In Paris, the Eiffel Tower was lit up with the colours of the Belgian flag on Tuesday evening in a show of solidarity with Brussels. The Twitter hashtag #JeSuisBruxelles was trending as were cartoons riffing on the theme of the city’s irreverent emblem, Manneken Pis, a small fountain statue of a boy urinating. In the images, he is cheekily relieving himself on a Kalashnikov. “I helped carry out five people dead, their legs destroyed,” he said, his hands covered in the victims’ blood. 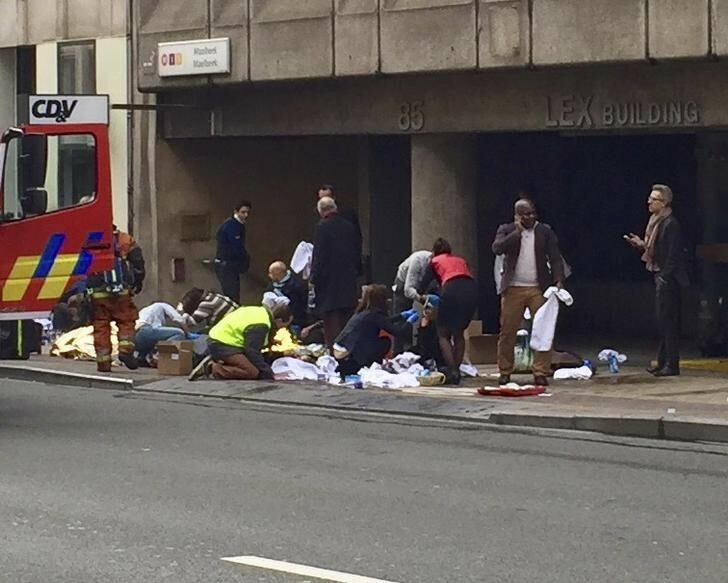 The blast hit the train as it left the platform at Maelbeek station, close to EU institutions, heading to the city centre. “We are at war and we have been subjected to acts of war in Europe for the last few months,” said French Prime Minister Manuel Valls, who is due in Brussels on Wednesday for a previously arranged visit.